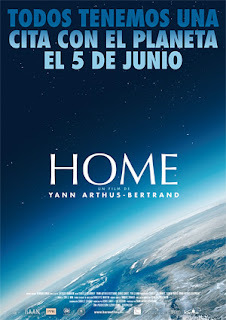 I just saw an incredible documentary called : 'Home'. It's about our planet, its evolution and the analysis of the humanity's impact... Currently it's hard to see people concerned about their actions (including myself) , take part of the real responsability on the earth's balance. "No other future that we build together.. the whole earth"
Thanks to Marta for this moment!